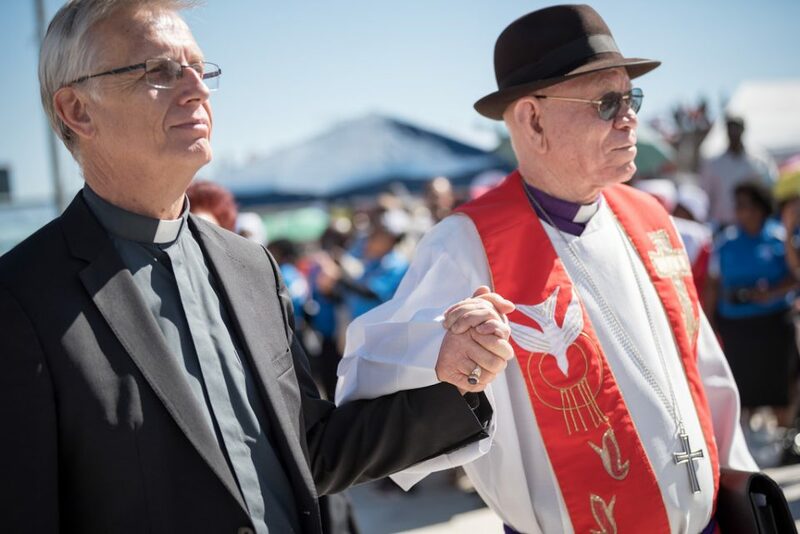 ELCA Presiding Bishop Elizabeth A. Eaton and a delegation from the ELCA joined Lutherans from around the globe May 10-16 for the 12th Assembly of the Lutheran World Federation (LWF) meeting in Windhoek, Namibia. 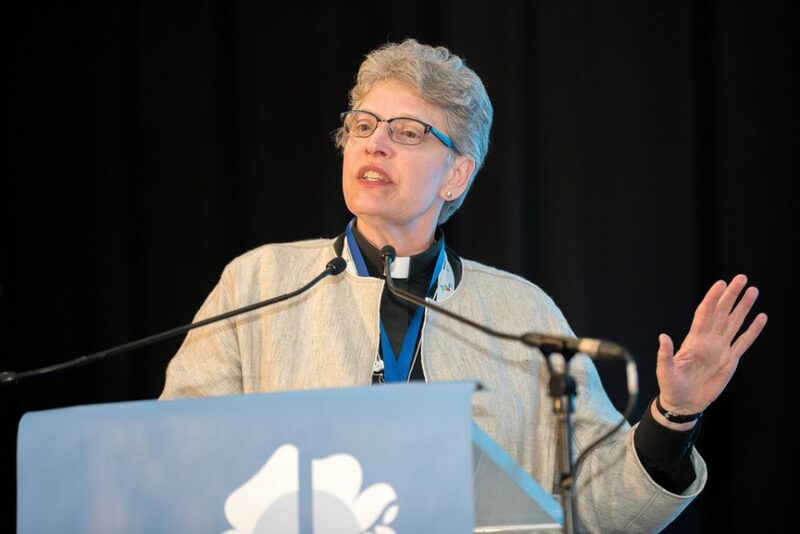 Gathering under the theme “Liberated by God’s Grace,” the assembly brought together nearly 800 participants, including 324 delegates, in the Reformation’s 500th anniversary year. 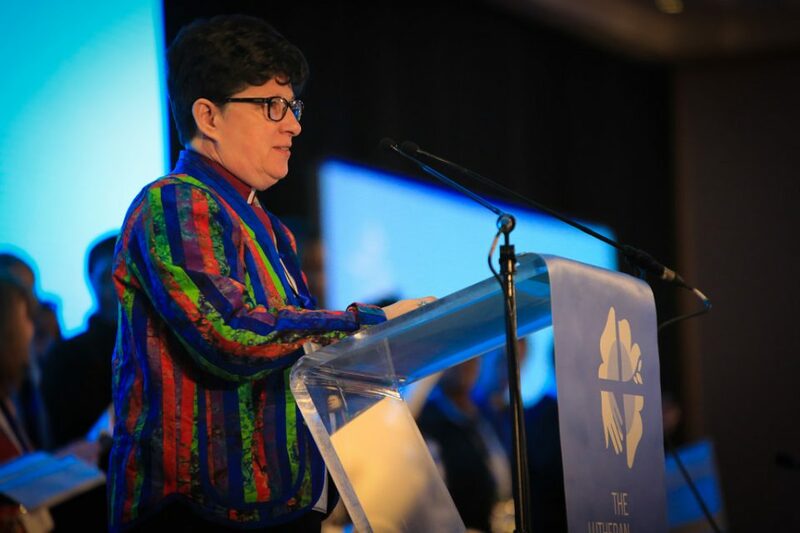 Seven voting delegates from the ELCA, the communion’s only member church from the United States, were present. 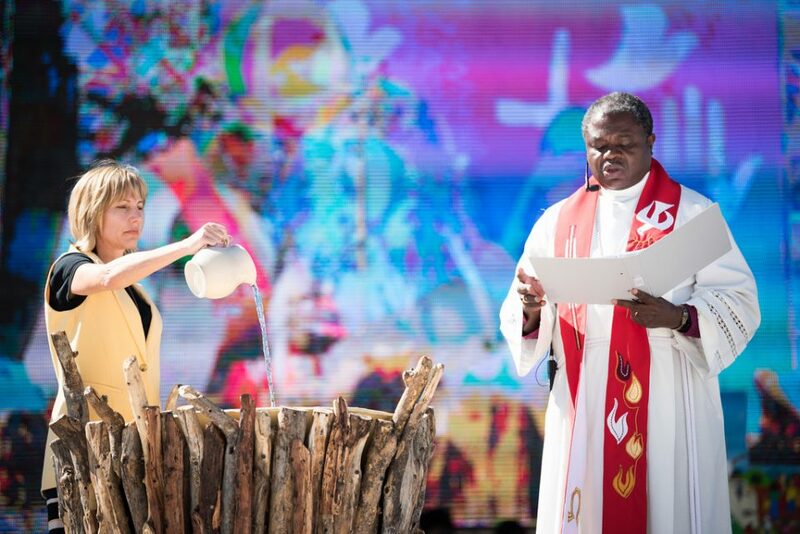 The LWF is a global communion of 145 churches representing more than 74 million Christians in 98 countries. The assembly is the highest LWF decision-making body and meets every six to seven years. 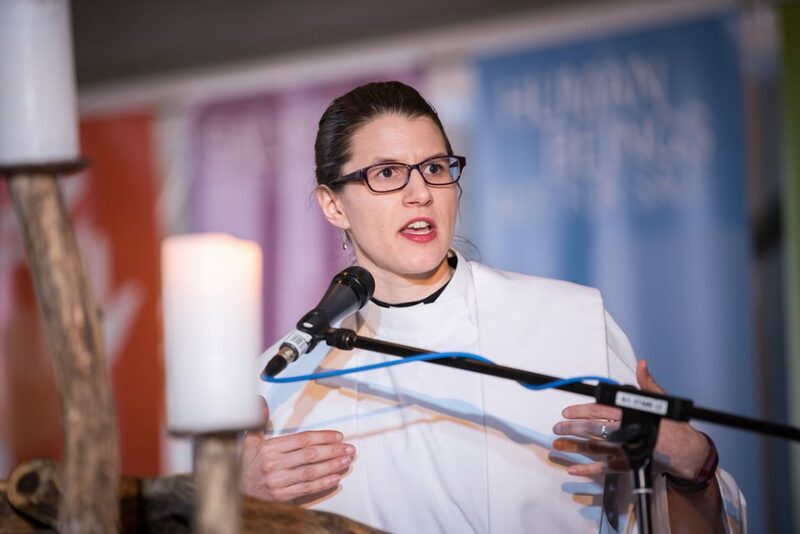 During this gathering, the assembly spoke out on issues concerning the life and witness of the churches and the world. 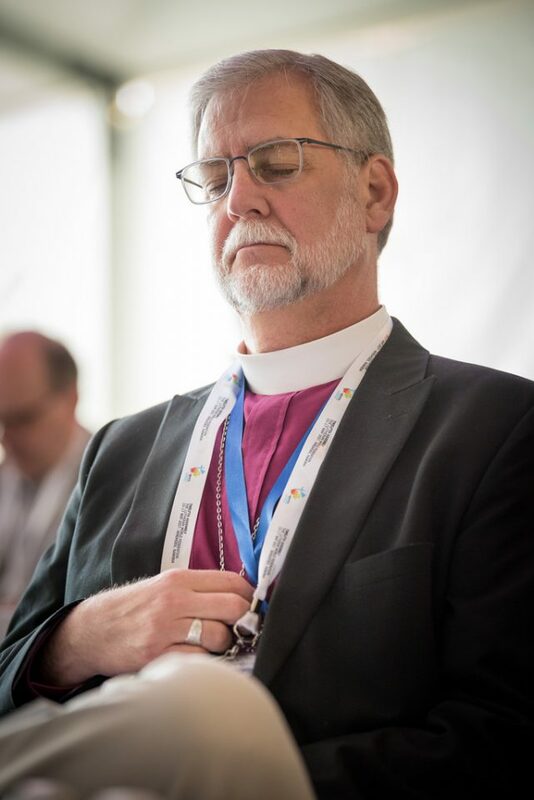 The assembly also elected as new LWF president Lutheran Church of Christ in Nigeria Archbishop Musa Panti Filibus, who will serve until the next assembly meeting. 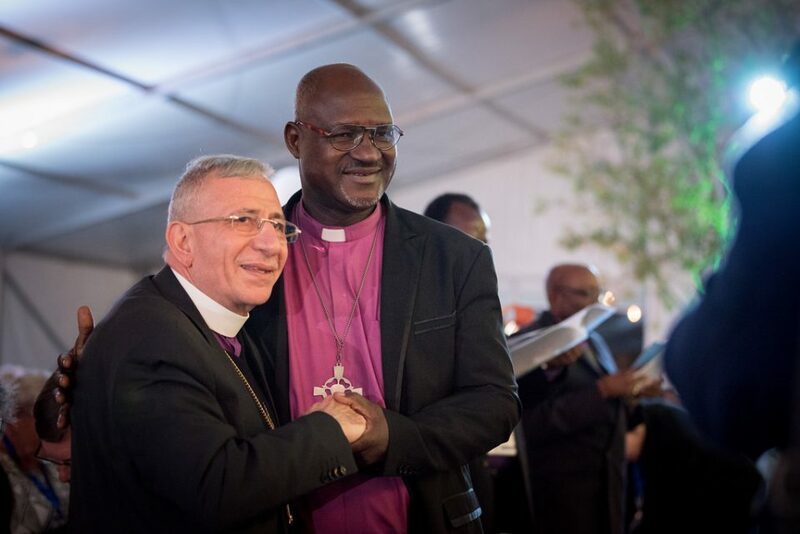 Archbishop Musa Panti Filibus (right) of the Lutheran Church of Christ in Nigeria was elected president of the Lutheran World Federation during the LWF 12th Assembly May 10-16 in Windhoek, Namibia. He is congratulated by outgoing president Bishop Munib Younan of the Evangelical Lutheran Church in Jordan and the Holy Land.